Fill your Mom's heart with love, hope & dreams by presenting her with this uniquely engraved heart jewelry box. Our Personalized Keepsake Box makes a fabulous Personalized Mother's Day Gift for Her. 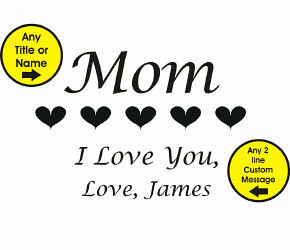 Don't forget this Personalized Mother's Day Gift is a perfect great gift for Mom or Grandma. The bride & groom will love this as a Personalized Wedding or Anniversary Gift. 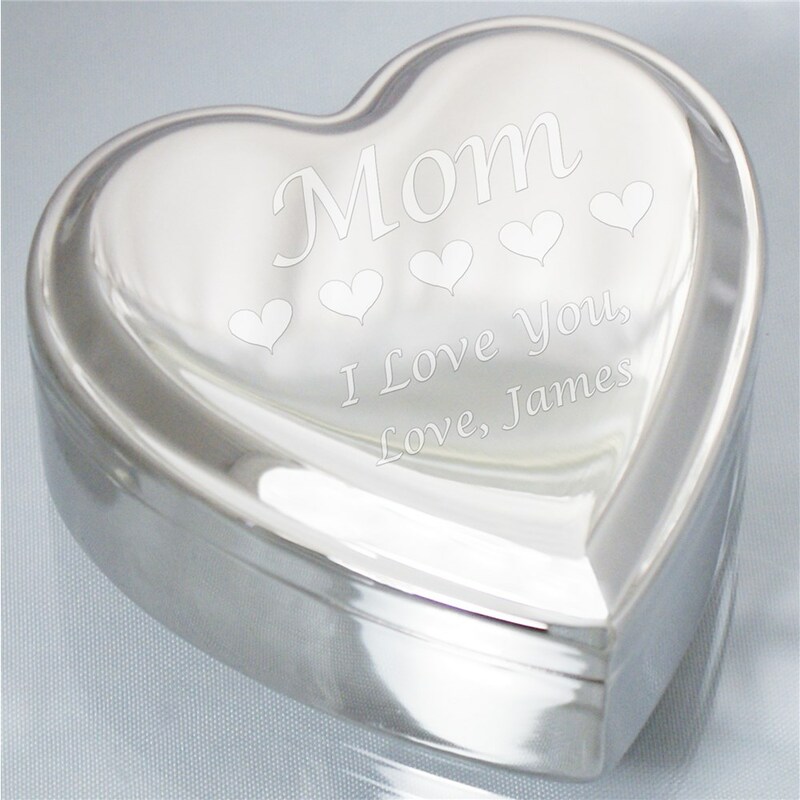 Our Personalized Memory Box is a heart shaped jewelry box with a bright silver-plated removable top and bottom. Inside of the heart features a soft, blue felt to protect your precious jewelry. Measures 3 1/2"L x 3 1/2"W x 1 1/2"H. Engraved Jewelry Box includes FREE Personalization! Personalize your Heart Jewelry Box with any name title or name and a two line custom message. Inside of the heart features a soft, blue felt to protect your precious jewelry. Measures 3 1/2"L x 3 1/2"W x 1 1/2"H.
Very nice!! My mom will love it. Being able to put your own special message is GREAT!